Add fun and excitement to your next party, fun day or corporate event.We will do it all from Jumping Castle to your kiddies dream Theme party leave it all to us and we will make his,her day unforgetable. 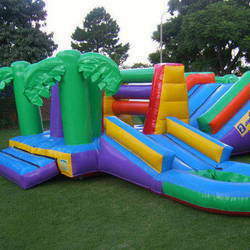 ABC Jumping Castles/Parties only provides their customers with the finest quality and service. 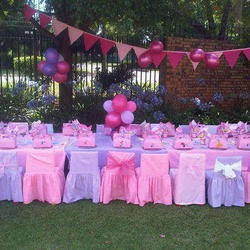 For party of 10 KIDS YOU CAN BUDGET FOR R1700 include chairs, tables, covers, cake, balloons, Jumping Castles, party packs, Theme of your choice accessories serviettes,plates,cups and the best of all your Happy Birthday Banner, flags with theme centre piece for Birthday Table. 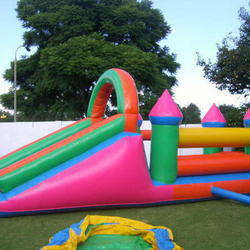 In order to hire a jumping castle or Your dream party, you need to make sure what kind of castle or party is appropriate for your event or party. Just log in to our website and we will contact you. This is the best surprise you can give a child on his or her birthday ! So don’t delay and book that jumping castle/Party for your event right now ! * Jumping Castles: R300 to R500.